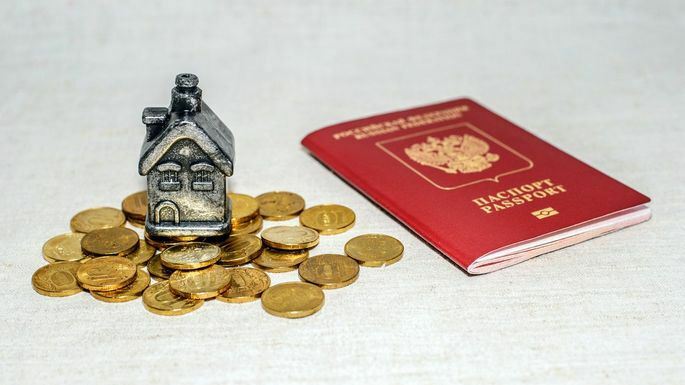 Can a non-U.S. citizen get a mortgage in the U.S.? The short answer is yes. "You do not have to be a citizen of the United States to purchase real estate here," says Ines Hegedus-Garcia, a real estate agent in Miami, FL. ​However, the kind of loan you are eligible for—and the documentation required to get that loan—will depend on your immigration status. Here are three different situations, and how people in those situations can qualify for loans. If you are a permanent resident with a green card, you can qualify for the same standard Fannie Mae or FHA loan that U.S. citizens are eligible for. Your loan application process should be exactly the same as the one for any naturalized citizen, except that the lender will probably require more documentation to prove your residency. However, you still must qualify for the loan, which usually requires at least two months of bank statements, two years of credit history, and two to three years of tax returns or other proof of income continuity. New residents might find that they do not have enough proof that they pay U.S. taxes and earn income in the United States. "Some people have to spend a few years establishing themselves here before they can qualify for a conventional loan," says Erika Borrero, a licensed mortgage adviser with Angel Oak Home Loans in Orlando, FL. Every lender has different requirements, however, so if one lender disqualifies your application, reach out to other lenders or mortgage brokers. People working legally in the United States, even on a temporary work visa, are eligible for the same kinds of loans as permanent residents and citizens, including FHA loans and down payment assistance. The application process for temporary residents should be similar to that for citizens or permanent residents. If your work visa is expiring in less than a year, lenders may require a letter from your employer stating that it will be renewed. Like new permanent residents, new temporary residents may have difficulty qualifying for a mortgage because they lack two years of U.S. tax returns and credit history. However, every lender has different requirements. Some lenders may be willing to consider non-U.S. income history, especially if it is for the same employer. Some lenders may accept credit history from other countries like Canada, if they have credit-reporting systems comparable to the systems in the United States. Look for a lender or mortgage broker who specializes in helping non-citizens get loans to guide you through the process. Foreign nationals without the legal status to work in the U.S. If you do not have a U.S. work visa or permanent resident status (sometimes called a green card), you are not eligible for conventional or government-backed loans in the United States. You do, however, qualify for a different kind of loan called a foreign national loan. "To qualify for a foreign loan, you have to prove that you’re living in another country," says Borrero. You also have to prove that your income is coming from your home country and that you live there. The big difference with foreign national loans is that they must be used for an investment property, not a permanent residence, so these are not great options for people looking to put down roots in the United States. Foreign national loans also have higher interest rates and require borrowers to put at least 25% down.